Be Prepared For Any Weather Emergency! The last few years have proven you can’t count on the Electric Company to “keep the power running” when a serious storm strikes Bergen County, New Jersey. With a natural gas powered whole-house standby generator, you’ll never need to worry about losing power again! YOUR HOME and YOUR FAMILY will always have full power within 15 seconds of a power outage – AUTOMATICALLY! 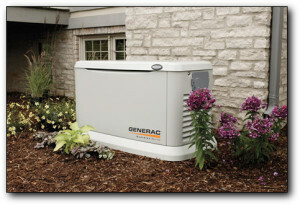 A whole-house standby generator is always ready to protect your home from losing electric power! 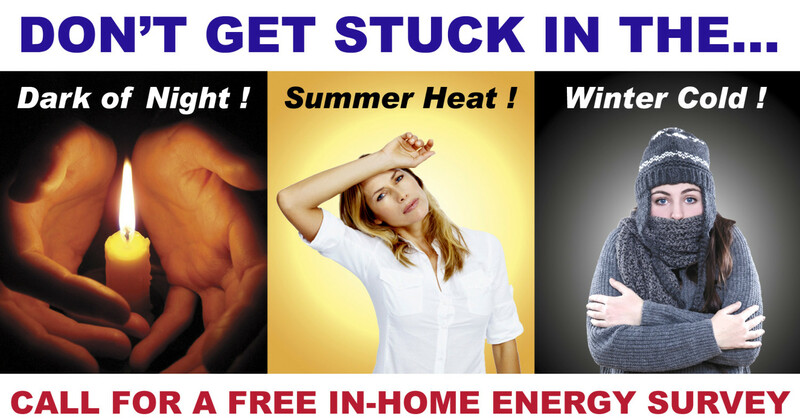 • Hundreds of thousands of homes lost power for a week or more due to Hurricane Sandy. The stress and frustration (and even danger) went on day after day! No fresh food because of no refrigerator, no heat or even hot water, no power for home medical devices, rising water in your basement because of no sump pump, stumbling around at night with flashlights or candles, no way to charge your cell phone or laptop except in the car, and no internet, TV or entertainment to help you and your family relax. It was like living in the Stone Age for hundreds of thousands of people and it can all be avoided if you prepare now for the next power outage by installing a whole-house standby generator! • If you were one of the lucky few who never lost power or only lost it for a short time during the recent storms, can you count on being that lucky again..? • Are you depending on a portable gasoline-powered generator for back-up electric power..? Is it big enough to power your critical home systems like heaters, refrigerators, central air-conditioning and sump pumps..? Do you realize that gasoline generators can actually harm sensitive electronics in modern furnaces, A/C units, computers, flat screens, even the controls in your dishwasher because of the “unfiltered” electricity they put out..? And can you count on always being able to get enough gasoline for it when local gas stations are also shut down by the same electrical outage..? • Is it safe or practical to run hundreds of feet of extension cords from a portable generator throughout your home to rig up a way to keep your key appliances running..? Is the fire hazard worth the risk..? Would your home-owner’s insurance even cover the damage if your negligent actions caused a fire..? You have insurance for your car and for your health; doesn’t it make sense to insure your power supply..? A whole-house standby generator will increase the value and marketability of your home while giving you complete peace of mind. Install and pay for the equipment just once and your home is always protected for years to come. Back-up electric power is not a luxury – it’s a necessity..! I’m Dan and I’ve lived and worked in Bergen County all my life. 1) You deal with only me from start to finish, I’m at your home for the entire job. So if you have a concern, I’m there to address it. 2) I never use sub-contractors, my small crew and I do all the work. So you won’t have any strange groups of men who you’ve never met showing up at your home unexpectedly to do any work. 3) I show up when promised and I never make excuses. I return your calls and handle all the details of your generator installation from permits to final test run and clean-up. 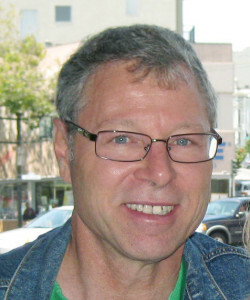 I’m not your typical contractor – I take pride in having many very satisfied long-time customers. 4) The entire job from the time the generator is delivered to your home until the final test run is only about 3 days. Your electricity will only be turned off for a few hours when I make final connections to your home electrical system, and most of the work is done outside your home, not inside it. I do my utmost to avoid inconveniencing you and your family any more than absolutely necessary. You won’t have things torn apart at your home and left undone for weeks like so many other contractors you may have dealt with. 5) I will give you a complete price quote up front and there won’t be any hidden charges that crop up later. I believe in giving you a fair and accurate price so you know exactly what your total investment in a back-up generator will be. I am not like many contractors who give out low-ball prices and then add on new charges after it’s too late to stop the job. I guarantee you’ll be satisfied with me and all my work. If you are in Bergen County and are seriously considering installing a whole-house standby generator… and I sound like the kind of contractor you’d like to work with… please contact me today for a FREE energy survey of your home plus a generator installation estimate. Thanks! SAVE 10% ON YOUR COMPLETE GENERATOR INSTALLATION! Because you’ve read my entire home page message until this point, I know you have a real interest in getting a generator for your home. I’d like to reward you with a coupon to save 10% off the entire job which will make it even easier for you and I to work together. It’s my gift to you and I look forward to hearing from you shortly. Thank you!